Thursday 6th June 2013 – 3.30pm – Chris Kowalik. A volunteer for a charity that is teaching lifesaving skills to thousands of people in Herefordshire has completed a near-200-mile coast-to-coast fundraising walk. Nicola Stock is a volunteer instructor for Herefordshire Heartstart. 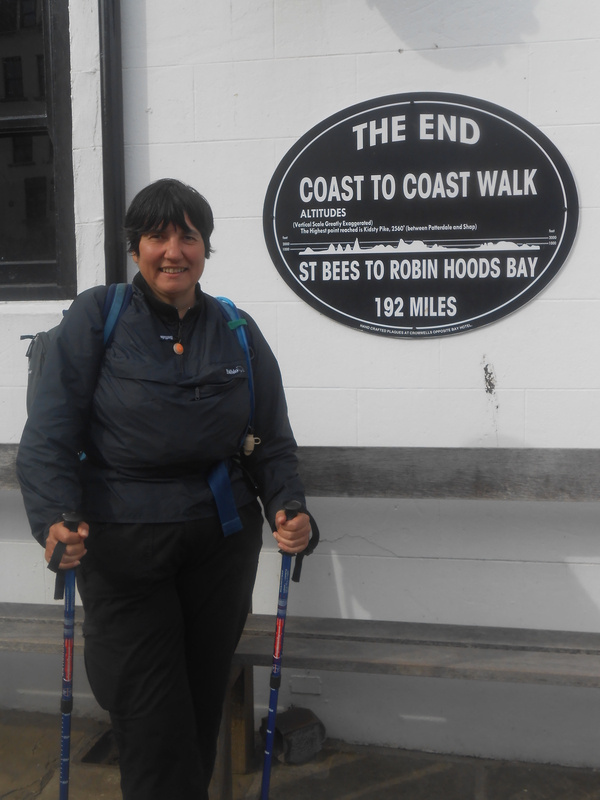 On Friday 3rd May she started out on Wainright’s coast-to-coast walk at St. Bees in Cumbria. She completed the walk in twelve days finishing at Robin Hood’s Bay in Yorkshire and raised £760 for the organisation. The money will be used to enable the charity to continue teaching lifesaving skills to people in the county. Herefordshire Heartstart is a registered charity (no. 1082309) which is teaching lifesaving skills to thousands of people in the county with the support of West Midlands Ambulance Service. If offers free two-hour courses to anyone aged 10 or over in techniques including CPR, the management of severe bleeding, loss of consciousness, choking and chest pain.